Directed by Stuart Hazeldine. With Adar Beck, Gemma Chan, Nathalie Cox, John Lloyd Fillingham. 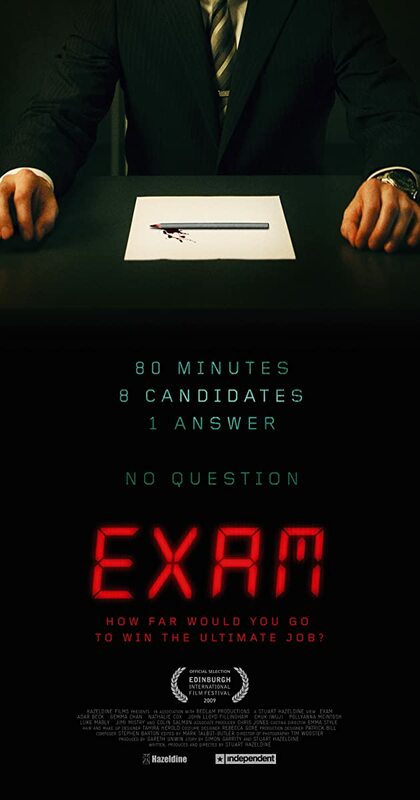 Eight candidates for a highly desirable corporate job are locked together in an exam room and given a final test with just one question. It seems simple yet confusing that soon, tensions begin to unravel.